Fountx in use. Image via Fountx. TAE Aerospace’s Fountx has partnered with Singapore’s ST Aerospace, which will see Fountx conduct user trials of its assisted reality technology, AsR, for the aerospace industry. Developed with CSIRO, Fountx_AsR is a hands-free system comprising a head mounted computer and camera. The near-eye display allows users to interact intuitively in real time to repair and maintain aircraft remotely. Fountx general manager Laurence Beraldo said the technology’s application will initially be for the aerospace and defence industries but has broader applications for other indsutries. "Our device is purpose built for use in complex industrial environments and remote locations, such as oil and gas, mining and health. Due to its simple operation and ability to interface with most operating systems, Fountx_AsR provides an improved safe environment for the user," Beraldo said. "Technical teams can access the guidance they need by glancing up to an above-eye display, and they can still clearly see what is right in front of them. It doesn't affect their spatial awareness or increase cognitive load, which is a big advantage over virtual or augmented reality technology. The time and cost-saving potential of this technology was evident from the start, and we've now developed Fountx_AsR to the point where we believe that it is the best system of its kind in the world." Alongside TAE Aerospace, Fountx showcased their technology to industry at the recent Singapore Airshow 2018, one of Asia’s largest aerospace and defence events. Fountx_AsR has seen major product improvement since TAE Aerospace first introduced the prototype at the 2016 Singapore Airshow. Some of these include a larger heat-sink with improved passive cooling capability, increased fidelity via the latest cheekbone audio system, a custom HD camera and its world leading display lens in the headset. ST Aerospace is one of the first organisations to look at introducing Fountx_AsR into their operations. Jeffrey Lam, chief operating officer of ST Aerospace, said the company's partnership with Fountx works with its ambitions to deliver quality maintenance, repair and operational (MRO) services. 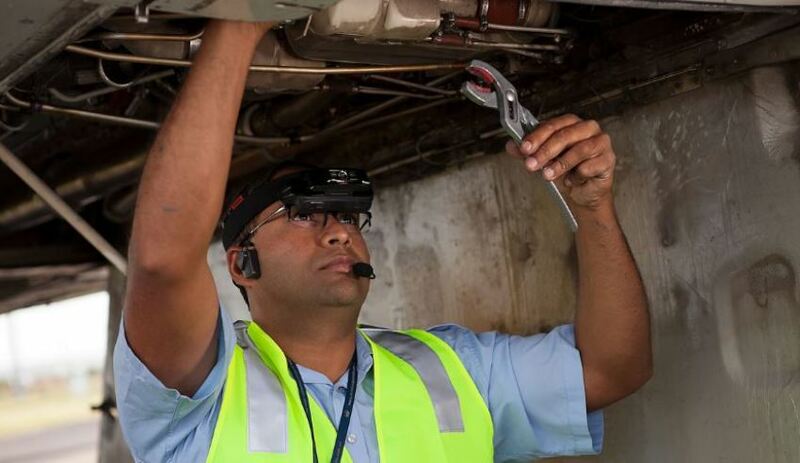 "As part of our continuous commitment to deliver MRO services with high standards in quality and safety, ST Aerospace [has] been investing in Smart MRO initiatives, including digitising our hangar and shop floor operations. We are happy to work together with technology companies such as Fountx to explore how to enhance our operations with digital solutions," Lam said. Fountx's Beraldo said support of the from key government bodies has helped launch the product into the global market. "Launching innovative technology into the global market would not have been possible without the support of parent company TAE Aerospace, CSIRO and a number of government agencies including Queensland government Department of State Development, Trade and Investment Queensland (TIQ) and the Australian Trade and Investment Commission (Austrade)," Beraldo said. "This support has greatly assisted exposure of the Fountx brand as well as introductions to potential international clients." CSIRO science director and deputy director of manufacturing Dr Cathy Foley congratulated TAE Aerospace and Fountx on their partnership with Singapore’s ST Aerospace. "We’re proud to have provided the scientific, technical and logistic support that helped build this new commercial opportunity," Foley said. "TAE Aerospace and Fountx are key examples of how CSIRO is helping reinvent manufacturing in Australia. By developing and exploiting disruptive technology platforms, we’re supporting the creation of new businesses and industries for Australia and the world."